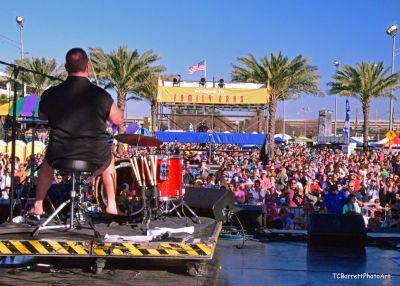 Family Gras is a FREE annual event that brings families together to celebrate Carnival with fun festivities including live music performances, fabulous festival food, and more! The event is held on the neutral ground (that's the median, if you're not from around here) across from Lakeside Shopping Center in Metairie on Veterans Memorial Boulevard. Big name artists as well as local favorites take the stage as musical guests. Past performers include: Taylor Swift, Billy Ray Cyrus, Jesse McCartney, Amanda Shaw, Kansas, Frankie Valli and the Four Season, CowboyMouth, Wilson Philips, and many more! 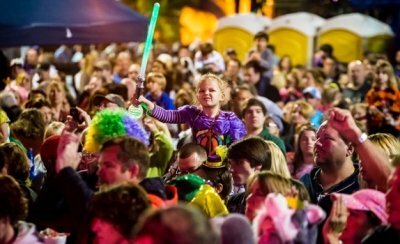 With different themes each day, Family Gras is a great place for you and your family to don costumes. Wear your most fun, creative costume on Friday night. Get in the Mardi Gras spirit Saturday by dressing in green, purple, and gold! Sports Sunday is a Saints fan favorite where you show off your favorite team’s colors. And what kind of Louisiana event would it be without food? Flambeau Food Court vendors will have delicious dishes like crawfish pasta, jambalaya, muffulettas, gator-on-a-stick, and pizza! Save room for dessert because king cake and bread pudding will also be available. Oh, yeah, that's what we're talkin' about! For more information about Family Gras, visit MardiGrasNewOrleans.com. Click here for Mardi Gras coloring pages for kids!